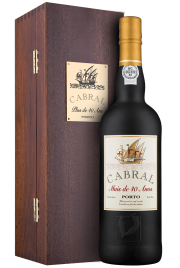 This port wine is the result of blending selected wines from the best vintages. It is aged in oak casks for an average of 7 years to produce its distinctive smoothness and character. This port is amber in color, combining notes of vanilla and caramel for a very aromatic taste. Its flavors of candied fruits and crème brûlée will please the finest palates. Developed, woody, with flavors of caramel, vanilla, chocolate and nuts. The taste is soft and consistent. Pairs very well with cheeses. It can also be served with sweet desserts, cakes and coffee. As an aperitif, it should be served chilled. As an after-dinner drink, between 15 and 18°C.